The world chess championship match between Magnus Carlsen and Fabiano Caruana came to a close on Wednesday evening with an emphatic win for the Norwegian superstar. After the record-breaking 12 draws in the classical games, the world champion dominated the tiebreaks by blanking Caruana 3-0 in the four-game rapid mini-match. For the record keepers, this was one more thing to make note of since it was the first time that a world championship tiebreak had been resolved within just three games. Also, since Carlsen has won 3-0 in a four-game match, his record can never be bettered. "I felt like I had a really good day at work today. 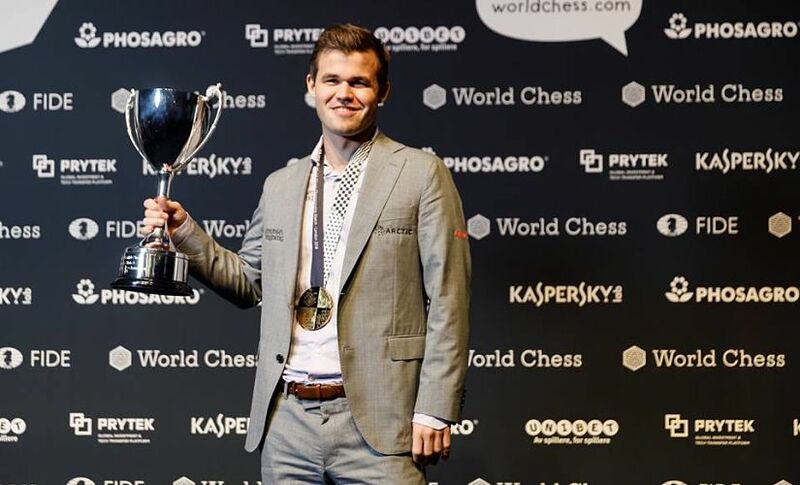 Everything kind of went perfectly," Carlsen said after having defended his world championship title for the third time. Alongside retaining his title, the world champion also took home a handsome €550,000 as his share of the prize purse while his challenger received €450,000. After going toe-to-toe against Carlsen in the classical games, Caruana just wasn't able to match up with the world champion after having a bad start. "It wasn't a good day for me. Magnus played very well. 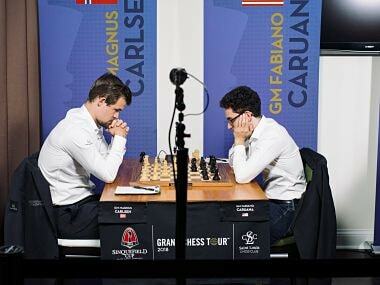 I had a very bad start, unfortunately – especially, the second game," Caruana said after the match. Carlsen had the white pieces at the start of the tiebreakers and pounced at his opponent from the word 'go', in the faster time control. In an English Opening, Carlsen uncorked a novelty on move 9. The move entailed a pawn sacrifice but the world champion had very good compensation due to his superior pawn structure. Around move 21, Carlsen's initiative had begun to become palpable. The computers gave the world champion a significant edge and suggested passive defence as the only way of holding on for the challenger. Caruana knew that if he went passive, Carlsen would eat him alive. Even though with imperfect moves, Caruana managed to remain active. Extracting a win in the position wasn't an easy task for Carlsen either. Even though he was better, he had to find some really subtle moves like taking his kind to the h1 square, which he could not manage to accomplish. Soon, the position began to look safe for black. Caruana had defended bravely and it seemed he would reap the fruit of it. 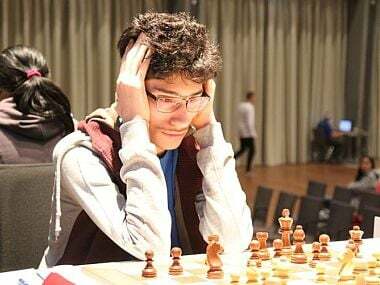 But as the clock ticked down, Caruana faltered. His 37.Kxe4 spelt instant doom. Carlsen managed to harvest all of white's kingside pawns after this and won the game soon afterwards. "I feel that game one was critical for the match. It was very tense and it was the breakthrough for me. 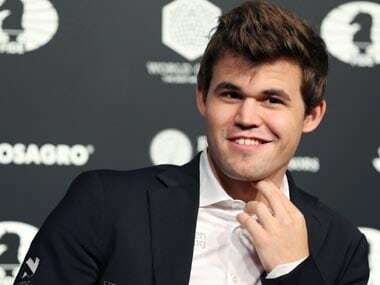 And in the second I wasn't sure about my position but after I had won the first game I felt very calm," Carlsen said about the first decisive game of the match. Having taken the bullet in the first game, Caruana went all guns blazing at in game two. Carlsen essayed the double-edged Sicilian Sveshnikov once again with the black pieces. Caruana had an edge in the opening as per the computers but the American went on the offensive a bit too early. His 21.c5, which was an attempt to open up the game and get to the black king, had a major flaw in it – it left Caruana's king in the centre as well. But once he had gone for it, Caruana did not back down. Pushing on with 22.c6, he upped the ante in a game where his odds looked rather grim. Carlsen soon encircled the pawn in question and got the better position. As the position seemed to get out of hand, Caruana tried to resort to tactics. However, that did not work either as he blundered on his 28th move and lost a full rook. An immediate resignation followed. Carlsen only needed a draw after this and he had the white pieces to accomplish that. Caruana, on the other hand, had to win two games on demand. Carlsen opened with his king's pawn and opted for the solid Maroczy bind setup against Caruana's Sicilian Taimanov. The game spiced up slightly when Carlsen went for a kingside expansion with 24.g4 in an otherwise tepid game. However, Carlsen did not let the game get too sharp. Inducing mass liquidations with his central break 26.e5, the world champion steered the game into an equal Queen and minor piece endgame. A draw would simply not have sufficed in the situation. Caruana, therefore, went for broke and ended up with his third straight loss of the match. With his commanding win, Carlsen made a strong statement to his critics who had bashed him for his draw offer in the 12th game. These critics included some high profile names like former world champions, Garry Kasparov and Vladimir Kramnik. Taking a dig at his predecessors, Magnus, after winning the world crown for the fourth time, said: "I think I made the right decision, and not solely based on the result. As for the opinions of Garry and Vlad they are invited to their stupid opinions." About his opponent, Carlsen said that Caruana had every right to claim to be the best player in the world as he does and he was happy to have won this match against his strongest challenger. "Fabiano played very well and he's an extremely strong player so it's very special," Carlsen said. And although Caruana lost his chance at the world championship title, he is still only a whisker away from overtaking Carlsen in terms of Elo ratings. Rated 2832, he is only three rating points behind Carlsen’s Elo of 2835. The challenger is slated to play at the London Chess Classic, this December. Carlsen has given this event a skip, so if Caruana manages to scrape the much needed 4 Elo points at the Classic, Carlsen might find himself in the number two spot on the world ranking list for the first time in eight years. As for now, Caruana said he is hoping to make this match a draw the right conclusions from his experience. "I am mainly disappointed. I mean, it's still so fresh. But I hope that I can look back at the match and learn a lot from it. It's a great privilege to play with Magnus, and it's a great learning experience. I hope that I can draw the right conclusions from it," Caruana said.